Girl Kuripot Girl Kuripot: For the Win, Let's Go Sago! Ok, let's do this! It's the 3rd Blog Anniversary of the travel blog Let's Go Sago! This is a chance to win an overnight stay for 2 in the Tides Boracay and many more prizes! Here are my 3 favorite Philippine travel spots to entertain you! A favorite top Philippine spot is still for Boracay in August - simply because of the following: there is not much sun, the receding shoreline is superb in the afternoon, it's the time for paraws, there are not much tourists and you can relax during food trips. 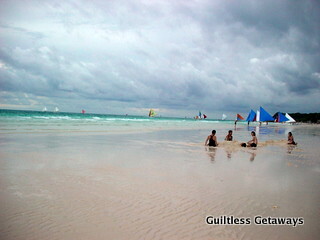 Read about my introduction to Boracay in August here. This next top spot is something I look forward to, Baguio in December - obviously because it's like Christmas every day, there are marshmallows and chestnuts roasting in the fireplace, it's cold and I get to wear my cold weather clothes and boots when I look for pine trees, there are strawberries, fresh greens and strawberry sinigang, it feels like you're eating Sunday brunch all the time, it's a drive away from Manila and there's so much that I want to experience there still. Read about my one-day Baguio itinerary here. The last top spot for this entry is the heart of one of the most memorable travel experiences I ever had, Iloilo Over and Over - partially biased because it is the land of my many firsts, for the charm and warm welcome of the people of Iloilo, the glimpse of the Philippines' rich history, delicious food, the photographs and the photoshoots and for the friends I've met there. 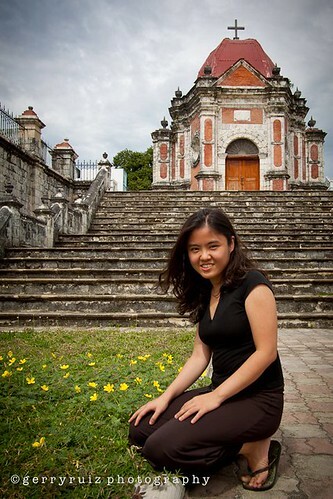 Read about my What Makes Iloilo Special Series here. What about you? If you want to win travel prizes, you still have until August 30, 2011 to join the "Let's Go Sago! 3rd Anniversary." Hi Girl Kuripot, I'm one of your avid readers. I was inspired with your Korean Trip last time that I convince my family for a tour this coming fall. can I have a contact number for travel agency that you got for that tour and also tips on how we can save and at the same time enjoy our trip! Hi Joey! We went on tour via Rakso for the first part of the trip and their ads are all over the Inquirer. If you want to save, I am suggesting to go on your own for Seoul just like the rest of my trip. Hostels are available like Seoul Backpackers and they have tours from there outside of Seoul. The food for Rakso doesn't really taste that good and is meant for tour groups. For fall, Nami Island is super fun. I went there end of october to november.